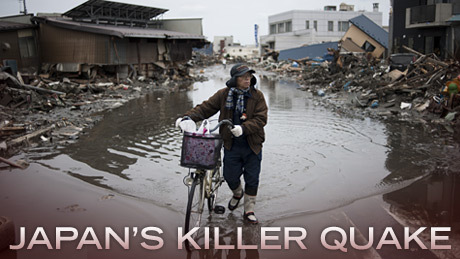 Last night Nova's usual science show was replaced by a feature on "Japan's Killer Quake"
- Quakes normally last a minute at most. This one lasted five. more time still to surpass japns preparations. Um. Does cali even haev a tsunami wall?